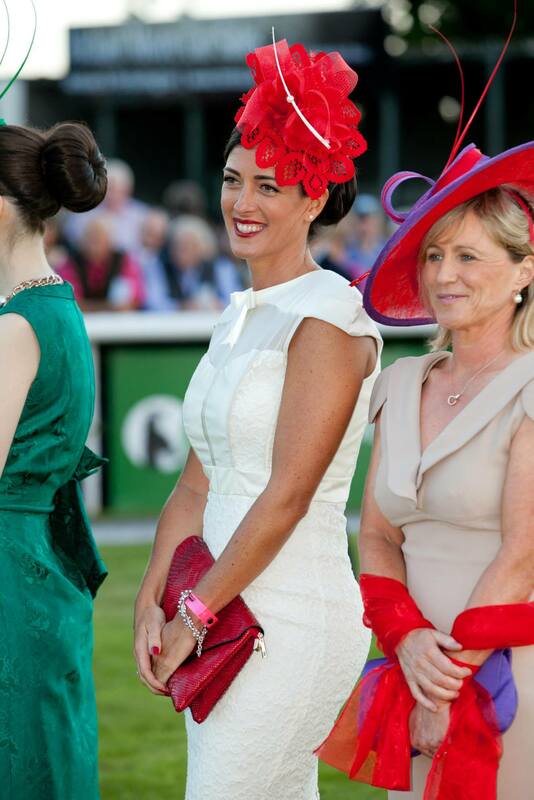 Ladies day at the races – The elusive first to post. I was delighted to be representing Dundrum Town centre as a member of the style team judging with Marietta Doran – a stalwart on the racing fashion scene ably assisted by Joanne Burke of racing Ireland. Ladies day – Where the ladies of Ireland dust off the “Sunday best” (and then some) in search of the highly coveted prize of best dressed. There are some it could be said who make a career of going to these events and considering the prize money who would blame them! In Ireland the racing scene is huge and our reputation for world class horses is rivalled equally by our ambition to win in the style stakes. 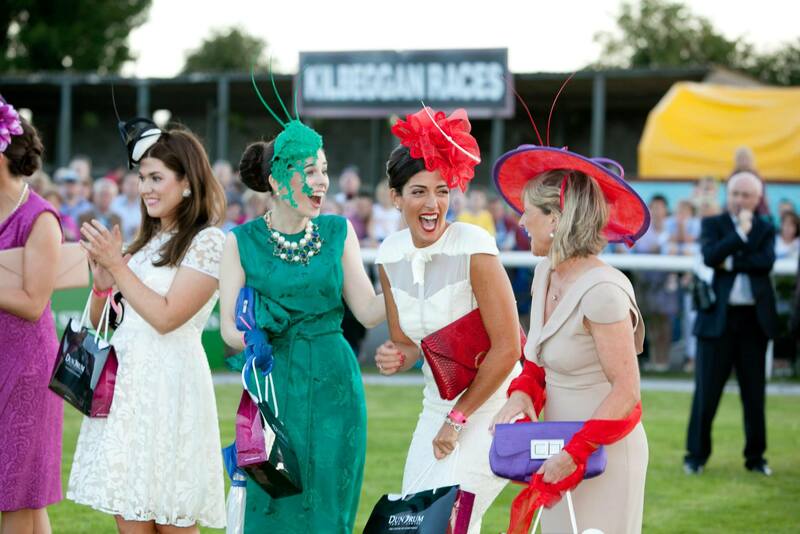 Warm congratulations to worthy winner Lisa McGowan who won best dressed at Kilbeggan’s ladies day held on Friday last at the midlands national. A former Dublin Rose she told me (20 years ago) who had absolutely no idea she could win such a grand prize. (Kindly sponsored by Ireland’s premier shopping destination Dundrum Town Centre and the fabulous Wineport Lodge near Athlone with a combined value of € 2,500) A prize you will agree which is nothing to be sniffed at, and besides isn’t it great to give another day out to a wedding outfit that was retired to the back of the wardrobe? 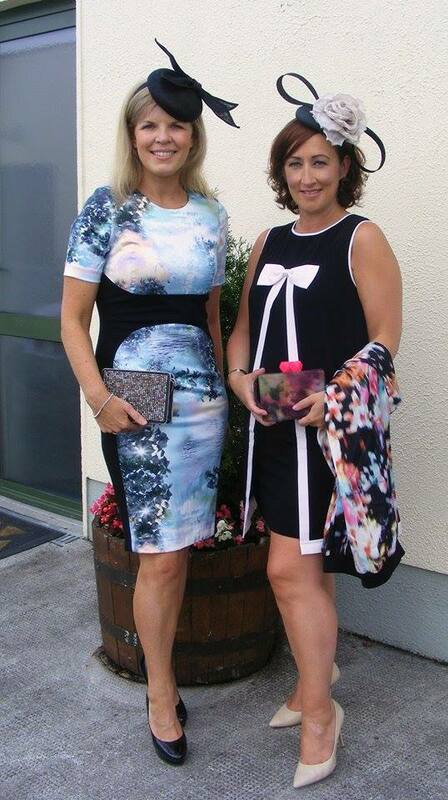 With Galway fast approaching I have decided to do a post on dressing for the races if you want to be considered for a prize and included the dos and don’ts which should be your bible for dressing for race day. 1. Always wear a hat/headpiece – you will not be considered for a prize without one. It should either compliment the outfit you are wearing or be in total contrast. Galway is notorious with females really pushing the boat out. Seek a few opinions and know what shape and size compliments you. 2. Be able to walk in your shoes – Need I go on?? I have seen more ladies in fabulous outfits which are well co- ordinated only to destroy the look with a horribly high pair of shoes- not a good look ladies. 3. Relax and smile , all too often I’ve seen ladies make a point of standing with a stiff pose and a serious look on their faces. Don’t be afraid to stand out but please look like you are having fun doing so. 4. Put some thought into your outfit , it’s not always about spending huge amounts of money but it does require a little research and effort to co-ordinate and accessorise your outfit- judges notice effort Start with a dress/suit/outfit to compliment your body shape and colouring, this is a sure fire way to get noticed. 5. Look groomed with neat hair either in an up style or a blow dry. Unless you are a genius doing your own hair seek out a professional. Paint your nails, and spend some time doing your makeup. Again if nothing else was perfect at the very least looking groomed goes a long way in leaving an impression. 6. Accessorize – one of the most important things that can make or break an outfit. Take a look at best dressed pictures to get an idea as to what we look for. I love simple touches like an all over colour theme and a contrasting / pop of colour. Examples would be red and white, black and yellow. 7. Lucky for you I’m mentioning fake tan – be verrrrry careful here folks – either know what you are at when putting it on, go to a professional of my very favourite – embrace your natural colour.